As part of the This is Great Britain campaign, The British Embassy in Brazil are currently producing a series of online cards about British people with links to Rio de Janeiro. 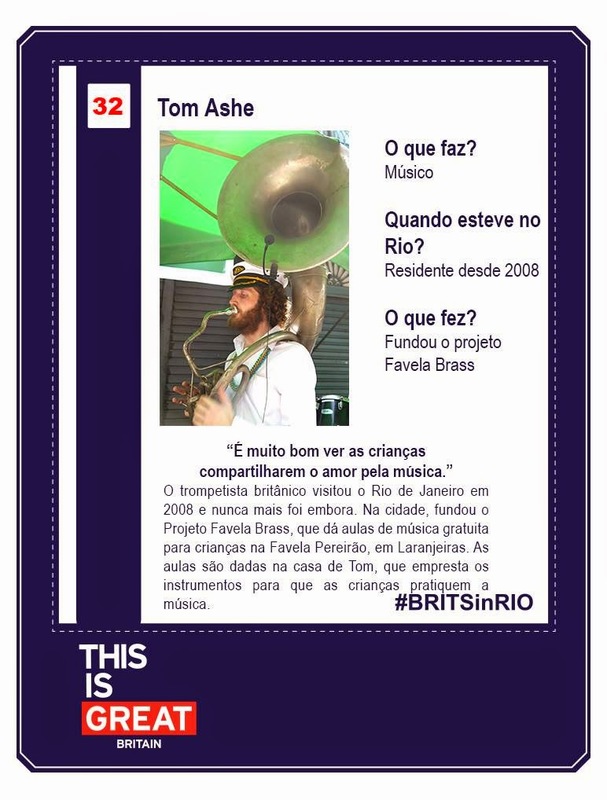 Today I had the honour of being included as number #32 for founding the Favela Brass project. Great to see the project getting official recognition and extremely flattering for me to be included on any list that also includes Charles Darwin, The Queen and Rod Stewart - can't see that happening again in a hurry!